Sun 17th: Sea Kayak Display, Largs Marina. 10am on. Loads of Kayaks and kayak gear from Sea Kayak Oban. Take your kayaking gear and try out your dream boat. Tuesday 19th: Day Paddle, Loch Long and Loch Goil. Meet Finnart at 9.30am. Back by 4pm. Thursday 21st: Talk: The Argyll Kayak Trail. Scout Hall, John St. 7.30. A chance to discuss with the project manager Russell Daniels what is being done, the objectives and the potential dangers of the route from Helensburgh to Oban. Everybody welcome; please make an effort to attend and bring friends and any others interested. 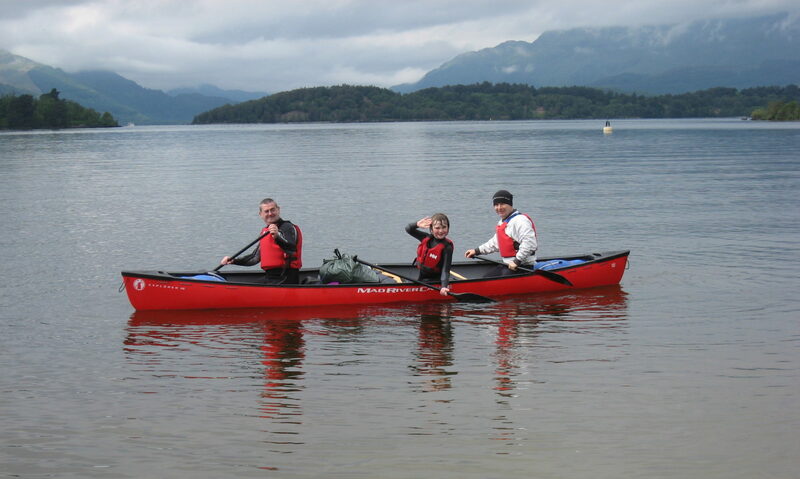 Wednesday 27th to Saturday 30th: Great Glen by Kayak or Canoe A mid-winter challenge. Please let me know if interested. Thursday 5th: Seasonal Dinner. Commodore from 6.30. Come for the dinner or just a drink from about 8.30. Friday 6th: Glasgow’s Xmas lights from the Clyde. Meet slip at Maritime Museum at 8pm for a paddle up river. A unique experience.